Whether you’re planning, monitoring or analyzing, you need the flexibility to compute, compare and categorize a wide range of fiscal data – across multiple entities in your organization. Polaris’ advanced healthcare toolkit combines disparate system data into a comprehensive view for strategic planning, financial reporting, and trending. Customized Executive dashboards, prioritized focus, optimal results. Polaris puts year-to-year trends, year-to-year variances, readmissions, denials and key indicators at your fingertips. Polaris extends financial reporting beyond traditional views by offering advanced financial reports including trail balances by insurance groups, aging reports and ratio analyses. Advanced financial reporting, total picture of cash flow and balance sheet …insights for improved performance. 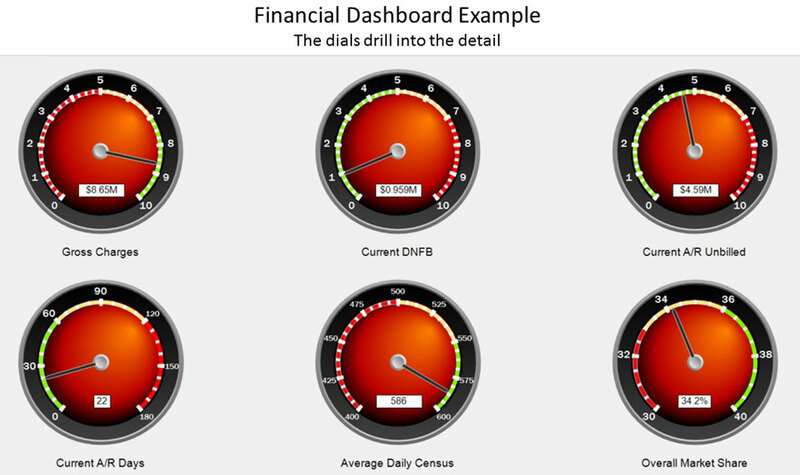 Timely data is essential for effective financial performance. Polaris updates executive dashboards, staff reporting every night so the most recent information is waiting for you to start your busy day. No further need for manual compilations and delays in information flow. Right information, at the right time, to the right person. Polaris combines general ledger and budgetary data to compare actual to budget for current and previous periods. Polaris can highlight values outside specified limits and then enable you to easily drill down to the account level to examine the root cause. Finally, Polaris gives you the ability to enter notations to explain variances and highlight action plans. Root cause analysis, hidden outliers, change management… future possibilities. Compare the actual-to-adjusted FTE budget on a pay period as well as a monthly basis. Drill down to a job code or labor category or earnings code. Or examine procedures (charge codes) by comparing actual-to-budget and previous periods. No job is too complex for Polaris. Advanced tools, advanced techniques, advanced results.